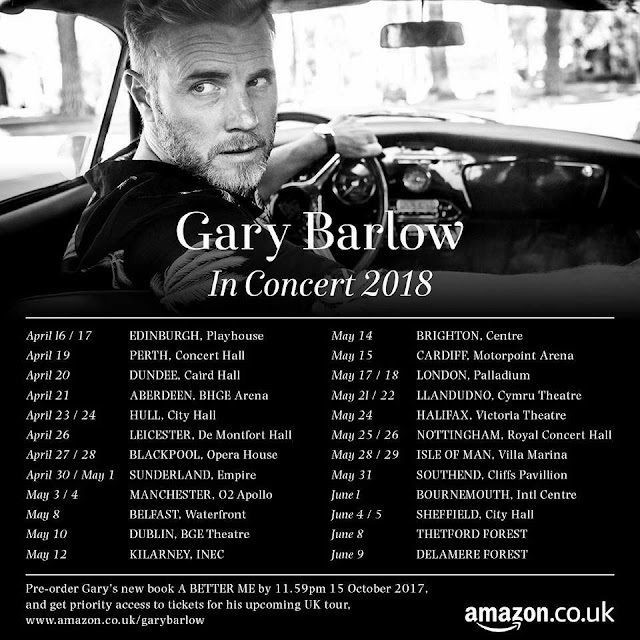 Gary Barlow - the man partially responsible for the glorious return of Jeff Lynne's ELO both on record and on stage - announced yesterday details of an intimate 2018 tour of the UK and Ireland. The Take That founder and lead songwriter will start with dates in Edinburgh on Monday 16th and Tuesday 17th April and finish with (at the time of writing) a local date in Delamere Forest, Cheshire on Saturday 9th June. 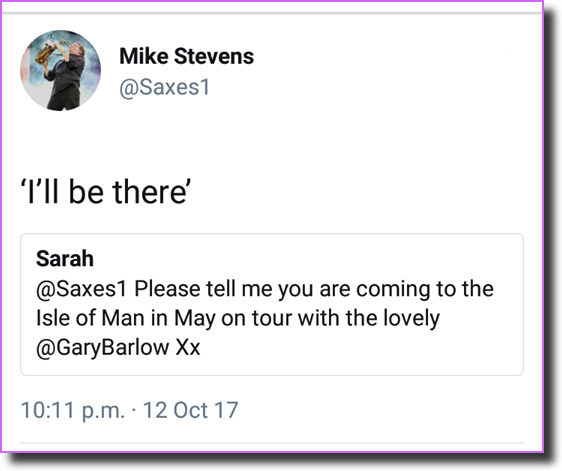 More dates are likely to be revealed. Yours Truly KJS would love to see a date in the West Midlands, perhaps at Cannock Chase being as forests are on the menu! Take That and Jeff Lynne's ELO Musical Director Mike Stevens has confirmed via Twitter that he will at least take part in the tour for the Isle of Man dates in late May so there is a strong possibility that Gary will be backed by the the TT/ELO touring band raising hope that ELO fans might also see some Jeff Lynne's ELO concerts too in 2018 ... hopefully with Richard Tandy back on board. elobeatlesforever (elobf) recommends "A Better Me: The Official Autobiography" by Gary Barlow to those enlightened folks who love ELO, Jeff Lynne, Roy Wood, 'Brum Beat', The Idle Race, The Move, The Beatles and related artistes. Although the tour means the ELO touring band may be together, and thus hints at possible JL/ELO activity, I think it's going a bit far to "recommend" Gary Barlow. While I welcome anyone to the world of £LO, I really don't think there is much overlap between ELO fans and Gary Barlow fans. Despite his best efforts, Barlow's music is at best pleasant, bland, somewhat naive kiddie-pop. I'm not even going to go into his rather unpleasant public (and allegedly) private rersonality, or his tax affairs. Just because something has a tenuous ELO connection, doesn't mean it should be "recommended". Gary BarELO: I was rather taken by 'I Should've Followed You Home' - the little ditty he did with flossy out of Abba a couple of years back.